Why a Mixed Bag in Michigan on False Confessions? With thanks to the Wrongful Convictions Blog, I learned that Michigan’s Supreme Court has issued a decision on the issue of false confessions. It’s one step forward and two steps back. This type of testimony can be vital, given the power of confessions to convince juries. According to Richard Leo, a psychologist/law professor and author of the multiple-award-winning book Police Interrogation and American Justice (Harvard, 2008), most people cannot accept that an innocent person would ever confess to a serious crime. 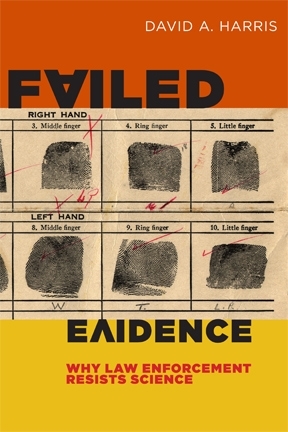 (Full disclosure: Richard Leo provided an endorsement for my book Failed Evidence.) Despite the fact that 25 percent of the 300 cases of defendants exonerated based on DNA featured a false confession or false plea of guilty, people cling to the myth that no one would confess falsely, absent torture, mental infirmity, or lack of sobriety. So far, so good. But the court then went on to exclude the expert testimony in the case, based on Michigan’s version of Evidence Rule 702 and the Daubert case. The court said that the methodology used to generate its conclusions was unreliable. That testimony was given by Professor Richard Leo — the same person who wrote Police Interrogation and American Justice, and so many of the other seminal works that help us understand today that the idea that an innocent person would never confess is a myth. Professor Leo’s body of work has been widely published, and much of it has been peer reviewed — two important factors for reliability under the Daubert rule. And the research and conclusions he presented in Kowalski were generated independent of any work he did as an expert in the case. What gives? It’s an example of a phenomenon I discuss in Failed Evidence: the Daubert rule is applied much more stringently to evidence advanced by the defense than to evidence that comes from the prosecution. More on that when the book is published, in September.